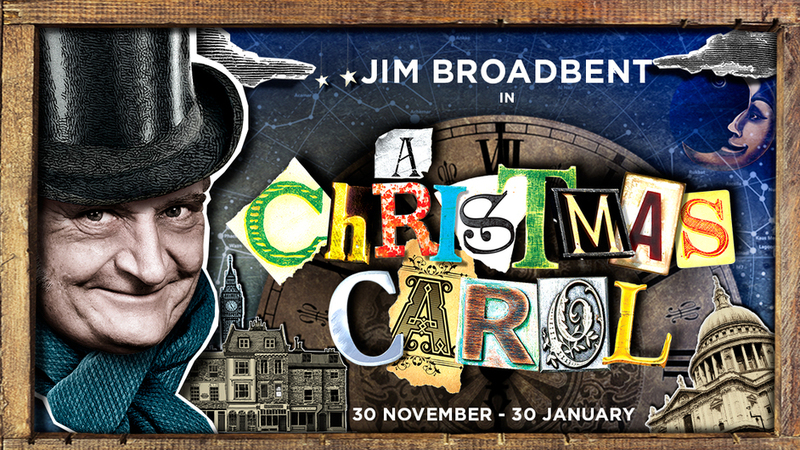 We have special offers available on tickets for A Christmas Carol, Noel Coward Theatre. He played Prince Albert in Blackadder's Christmas Carol but now Academy Award-winning actor Jim Broadbent plays Scrooge in a new (less silly) version of A Christmas Carol at the Noel Coward Theatre this winter. Adapted by Patrick Barlow from Charles Dickens' original story, the well-known tale of stingy Scrooge and poverty stricken Tiny Tim comes to life thanks to critically-acclaimed designer Tom Pye (The Testament of Mary, The Death of Klinghoffer, The Low Road) with Toby Sedgwick (War Horse, The 39 Steps) as director of movement. Jim Broadbent reunites with Patrick Barlow (who also wrote the long-running hit The 39 Steps) - the two performed for many years in Barlow's cult comedy troupe The National Theatre of Brent. The lead actor has also previously worked with director Phelim McDermott, the Olivier Award-winning artistic director of Improbable theatre company, who directed Theatre of Blood at the National in 2005 in which Broadbent last appeared on stage a decade ago. What are the best dining options near A Christmas Carol, Noel Coward Theatre London? A Christmas Carol, Noel Coward Theatre gyms, sporting activities, health & beauty and fitness. The best pubs near London A Christmas Carol, Noel Coward Theatre. A Christmas Carol, Noel Coward Theatre clubs, bars, cabaret nights, casinos and interesting nightlife. Where to have your meeting, conference, exhibition, private dining or training course near A Christmas Carol, Noel Coward Theatre. From cheap budget hotels to luxury 5 star suites see our deals for Noel Coward Theatre hotels, including Thistle Trafalgar Square, The Royal Trafalgar from 77% off.